I finished Filed Under: 13 Suspicious Incidents and The Buried Giant, two of the books I had bought in MIBF (woaaah, I am reminded of how time can fly), but I still can’t get around writing a decent review. All I know is I had the time of my life reading Snicket and I wish I could prolong reading Ishiguro’s work. Damn. For those who remember, I got fixated in the context of time a couple of years ago, without knowing-or even considering- that in the same period, someone else was also thinking about the same thing. Continuing the concept of time, because I don’t see why not, I also read this interesting article on how blocks can be used to determine how much time we devote to particular activities. My mind is continuously being tickled by this site and I am so happy to be able to include an article from a different source apart from BrainPickings.Org and BBC. 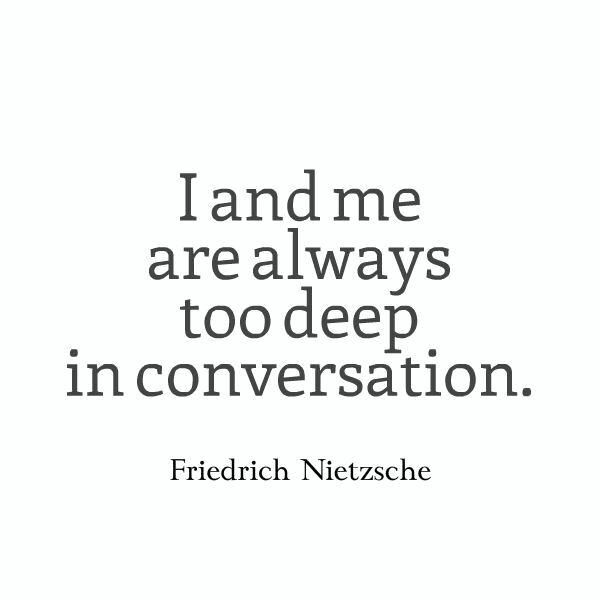 I have been reading a number or Nietzsche’s works and his ideas resound so strongly in my head. My only concern is the threat of over-reading things and I don’t want to sound like I only concluded he was my favorite philosopher because I didn’t read other philosophers’ works. Once again, I would like to take this opportunity to thank Austin from Writings by Ender for giving my work a shot.